The International Campaign for Tibet has criticised the Nepalese authorities following the delayed processing of 23 Tibetan refugees. The incident comes as China attempts to further increase its control of oppressed peoples. Human rights monitors and foreign diplomats in Nepal who monitor the situation for Tibetan refugees transiting from Tibet through Nepal are concerned for the safety of 23 Tibetan refugees in custody in Kathmandu, Nepal. The group of Tibetans has not been turned over by Nepalese authorities to the UNHCR, as per established protocols, and the Chinese Embassy in Kathmandu has written a letter demanding that the Tibetans be released into Chinese custody for return to Tibet. The 23 Tibetans were arrested by Nepalese police on September 11-13  after they crossed the border from Tibet, brought down to Kathmandu and turned over to Nepal’s Department of Immigration (DOI) in Nepal. They remain in the custody of the DOI, contravening established protocols that Tibetans crossing into Nepalese territory are promptly handed over to the UN refugee agency (UNHCR) for processing and onward transit to India. The group includes eight minors (ages 13-17). The appointment of a new Chinese Ambassador in Kathmandu, Yang Houlan, in June 2011, was seen by some observers and reported in the press as a signal of elevated importance for Beijing’s interests in Nepal, of which the Tibetan issue is predominant. Chinese authorities have taken advantage of political instability, the rise of the Maoists, and the need for resources to develop Nepal's infrastructure to gain an unprecedented leverage over Kathmandu's treatment of its long-standing Tibetan community. Beijing's influence over the Nepalese government, border forces, the judicial system and civil society at a time of political transition in Nepal means that Tibetans in Nepal are increasingly vulnerable, demoralized and at risk of arrest and repatriation. Nepalese officials indicate that the case of the 23 Tibetans is now being handled at the highest levels in the Nepalese government. Nepalese Prime Minister Dr Baburam Bhattarai is currently in New York City to take part in the 66th session of the UN General Assembly. According to local sources who have interviewed them, all of the Tibetans appear to be legitimate refugees and have given reasons for escape that are consistent with thousands of other accounts over previous decades, including to see the Dalai Lama. Under the established ‘Gentlemen’s Agreement’ between the Nepal government and the UNHCR, Tibetans who enter Nepalese territory from Tibet are to be given over to the care of the UNHCR and expeditiously allowed to travel onward to India. Tibetan refugees brought to Kathmandu are provided temporary refuge at the UNHCR-funded Tibetan Refugee Transit Center. Tibetans registered as “persons of concern” by the UNHCR enter a system administered by the Central Tibetan Administration through which they are placed in age-appropriate care and schooling or monastic institutions in Tibetan settlements throughout India. The 23 Tibetans were traveling in two different groups from Tibet and through Nepal. On September 11 , twenty of the Tibetans were arrested in Bajura district, western Nepal, after crossing the Tibet-Nepal border in Humla district. On September 11 , they were brought to the Department of Immigration in Kathmandu. On or about September 13 , three Tibetans were arrested in Barabise, Sindupalchowk district, north-central Nepal. They were also brought to the Department of Immigration in Kathmandu. In total, there are 18 males and five females in the group; with two in their 40s, 13 between 18 and 28 years of age, and 8 are between the ages of 13 and 17. In the last four years [2007 – 2011], minors have represented 15 percent of the total number of Tibetans transiting through Nepal to India. Based on interviews conducted by ICT, the UNHCR and others over the years, as well as numerous Tibetan sources, young people often leave Tibet to secure a traditional Tibetan education or to join Tibetan Buddhist monasteries and nunneries in India. 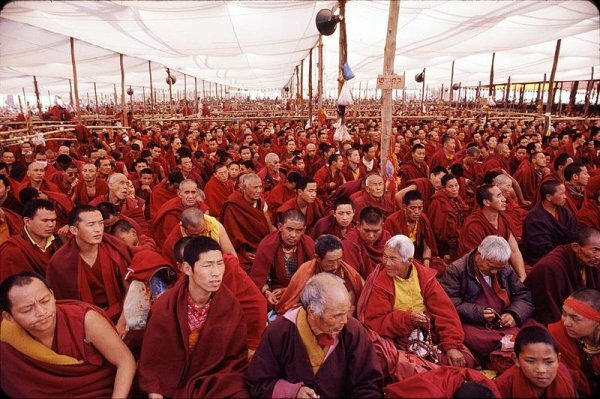 Religious practice is strictly controlled in Tibet where repression has intensified since March 2008. Forcible return (refoulement) of Tibetan refugees to Tibet is a violation of international law. While Nepal is not a party to U.N. refugee conventions, it is bound to follow international norms in this regard. Nepal is a party to the U.N. Torture Convention, which bans the forcible return of any person to a country where there is a credible fear that torture could be employed. The U.S. State Department has reported that “Tibetans repatriated from Nepal suffered torture, including electric shocks, exposure to cold, and severe beatings, and were forced to perform heavy labor. Forcible return of Tibetans to Tibet is rare. Three were repatriated in June 2010, and 18 were taken from custody in Kathmandu across the border in 2003 (although other instances may go unreported). These cases resulted in outcry from the U.N. and national governments, including the United States.